YEAH, PRESIDENT TRUMP IS SUCH A RACIST, ISN’T HE … TRUMP PARDONS FIRST BLACK BOXING HEAVY WEIGHT CHAMPION. Yesterday, President Donald Trump signed a full pardon for former heavyweight boxer Jack Johnson. For those who are too young or unfamiliar with who Jack Johnson was, he was the first black heavyweight boxing champion, who was convicted of so-called violating the Mann Act more than a century ago. And it is about time, it has only taken 97 years. I find it amazing that it was President Donald Trump who finally issued this posthumously full pardon. Trump, the president who the LEFT and minorities call a racist. Really? One would have thought that Barack Obama would have righted this wrong. But no, he did not. Black America needs to wrap their head around that. How does the first black president in Barack Obama not pardon Jack Johnson? It is almost inconceivable. Or the so-called first black president, Bill Clinton? Maybe black America needs to take a real look at Trump and determine for themselves who really has their back. Who really wants them to succeed and who just wants to use them as political pawns. President Donald Trump signed a full posthumous pardon for former heavyweight boxer Jack Johnson in a surprise Oval Office ceremony alongside actor Sylvester Stallone, former heavyweight boxer Lennox Lewis, and others. “It’s my honor to do it. It’s about time,” Trump said during the ceremony in the Oval Office. “He was treated very rough, very tough,” Trump said of Johnson on Thursday as he signed the pardon. He served one year in prison. Under the Obama administration, the Department of Justice opted not to recommend a posthumous pardon for Johnson. ’It’s about time:’ The 97-year history of Jack Johnson’s quest for a pardon! Jack Johnson, the former heavyweight champion of the world and the first African-American boxer to hold that title, was serving a 10-month stint at Leavenworth prison in 1921 when he sent President Woodrow Wilson a letter. On Thursday, President Trump finally answered that letter, granting Johnson a full and unconditional pardon for his 1913 conviction of a crime that amounted to traveling with a white woman. Along the way, Johnson’s 97-year road to a presidential pardon was paved by biographers, boxing champions, senators, journalists, historians, musicians — and ultimately the actor Sylvester Stallone, whose conversation with Trump about the Johnson case led to just the third posthumous pardon knowingly granted by a president. Johnson was finally vindicated, but vindication wasn’t what he wanted. He wanted his freedom. But Johnson did apply for a pardon in 1920, as he sat in prison to serve a one-year sentence for violating the Mann Act. Even the attorney general at the time had reservations about the case, since the Mann Act was intended to punish human trafficking — not consensual relationships. LOOKS LIKE THEY TAKE OTHERS DREAMS AWAY … WHY ARE THESE PEOPLE ALLOWED TO BE IN THIS COUNTRY? 37 year old, twice deported, twice arrested for DUI, Manuel Orrego-Savala is suspected of driving drunk yet again and is responsible for the deaths of 26-year-old Colts linebacker Edwin Jackson and 54-year-old Uber driver Jeffrey Monroe. The fatal car accident took place at 4 a.m. Sunday on Interstate 70 in Indiana. According to FOX59, investigators believe Monroe was Jackson’s Uber driver and Jackson was the passenger,. The station said at some point during the ride Jackson became sick, and the pair were hit on the emergency shoulder of the highway after Monroe pulled over. Orrego-Savala fled the scene but was arrested shortly thereafter by the responding officer. When is enough, enough? How many American citizens have to be killed by illegals before we take action to really prevent them from being in this country, not treating it like a joke? Indianapolis Colts linebacker Edwin Jackson and another man on Super Bowl Sunday. 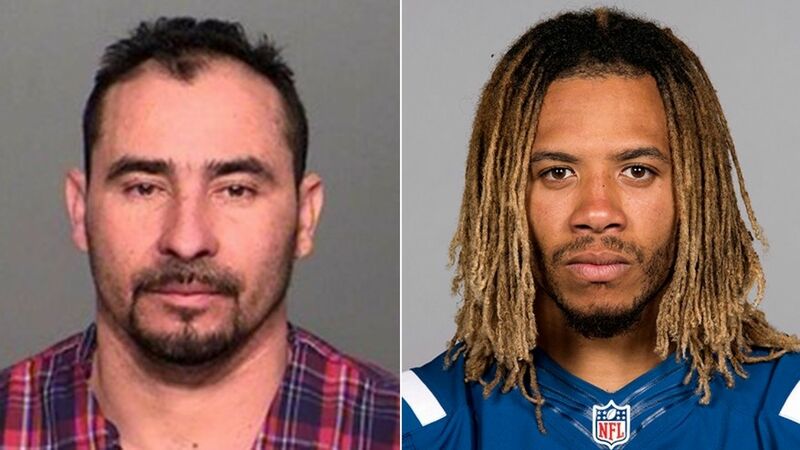 Police say Manuel Orrego-Savala, 37, had a blood-alcohol level nearly three times the legal limit when he hit and killed Edwin Jackson, a 26-year-old Colts linebacker, and 54-year-old Jeffrey Monroe, Jackson’s Uber driver, around 4 a.m. Sunday. Wake up America, especially those on the LEFT … this never had to happen. This was completely preventable had we had a border that actually kept illegals out. But Democrats would rather shut down the U.S. government in favor of illegals in America. Orrego-Savala’s history in the U.S. dates back more than a decade. ICE spokesperson Nicole Alberico said in an email that Orrego-Savala is believed to have entered the country on or around July 1, 2004. 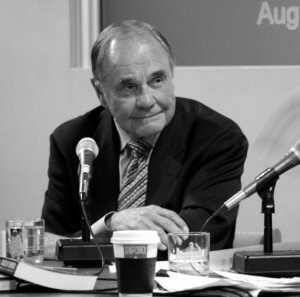 He was convicted of driving under the influence in Redwood City, Calif., in 2005, Alberico said. It was unclear what happened immediately following his conviction. He was once again arrested by ICE in San Francisco in October 2006 for being in the country illegally. He was removed to Guatemala for the first time on Jan. 17, 2007. He was again arrested by deportation officers in San Francisco on March 26, 2009, and was removed to Guatemala for the second time on May 12, 2009. It is unknown when he returned to the U.S. and at what point he arrived in Indiana. According to the state police, the crash happened shortly before 4 a.m. Sunday along the westbound lanes of I-70, just west of Holt Road. Jackson and Monroe, of Avon, were standing near Monroe’s stopped vehicle when Orrego-Savala’s Ford F-150 pick-up truck drove onto the emergency shoulder and struck them both. HEY NFL, THINK YOUR DISRESPECTFUL KNEELING DURING THE NATIONAL ANTHEM STILL ISN’T A PROBLEM? As reported at SI, the 4 NFL playoff games this past weekend all saw double-digit ratings decreases. OUCH! Honestly, I ma surprised the Bills-Jacksonville game was as highly rated as it was. It might have been the worst playoff game I have ever seen with a winning QB is Bortles throwing for less than 100 yards. The NFL has a serious problem on their hands due to their disrespectful kneeling during the National anthem. The NFL wanted to pretend this was not an issue. Guess what, it is and will continue to be so. Average fans are finding other things to do. Way to handle the situation and disrespect your fan base. Titans-Chiefs (14.7) was down 11 percent versus last year’s Raiders-Texans game. Falcons-Rams (14.9) was down 10 percent versus last year’s Lions-Seahawks game. Bills-Jaguars (17.2) was down 10 percent versus last year’s Dolphins-Steelers game. Panthers-Saints (20.4) was down 21 percent versus last year’s Giants-Packers game. In a loaded and politically bias interview with CNN’s Alpine Edge, US Olympic skier Lindsey Vonn was asked how she felt competing in an Olympics for the United States whose president is Donald Trump? Vonn responded by saying, “Well I hope to represent the people of the United States, not the president.” Really, so you will be representing the people, not the president? Last time I checked Donald J. Trump was a person of the United States. It is sad that these athletes would let politics get in the way of athletics as all this has accomplished is having people, yes the American people, hate you. Lindsey, you do realize that 62,984,825 people of the United States voted for President Trump, right? It is a sad commentary that these athletes cannot shut up and just do what they are skilled at, instead of alienating half of America. On a person note, I have skied since I was in the second grade. I grew up in a part of the country where we had half days on Wednesday and Friday so we could lean to ski. I have long followed Alpine skiing and snowboarding forever, long before it was cool to. And have known individuals who trained for the Olympic ski team and made it. And some who passed away in the pursuit of it. I have long cheered for Lindsey Vonn because of her amazing talent. However, for the first time I will find myself not cheering for Lindsey not to win Olympic gold. Not because she isn’t a Trump fan, but because she is so ignorant and bias in her beliefs, that she is acting like the very individual she thinks that Donald Trump is. 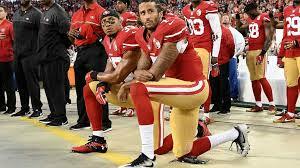 It is sad that athletes think they have to mouth off and tell us about their political beliefs. WE DON’T CARE!!! Sports and the Olympics is an escape from politics. Thanks for ruining that Lindsey. A number of US athletes have spoken out against Donald Trump during his presidency — and skier Lindsey Vonn has become the latest to have her say. Targeting Olympic gold at February’s Winter Olympics in Pyeongchang, Vonn is in St. Moritz, Switzerland, where she spoke passionately about what it means to compete for the US ski team. “Well I hope to represent the people of the United States, not the president,” Vonn told CNN’s Alpine Edge. And Vonn revealed she wouldn’t accept an invitation to the White House if she were to win gold at Pyeongchang. “Absolutely not,” said Vonn. “No. But I have to win to be invited. No actually I think every US team member is invited so no I won’t go.